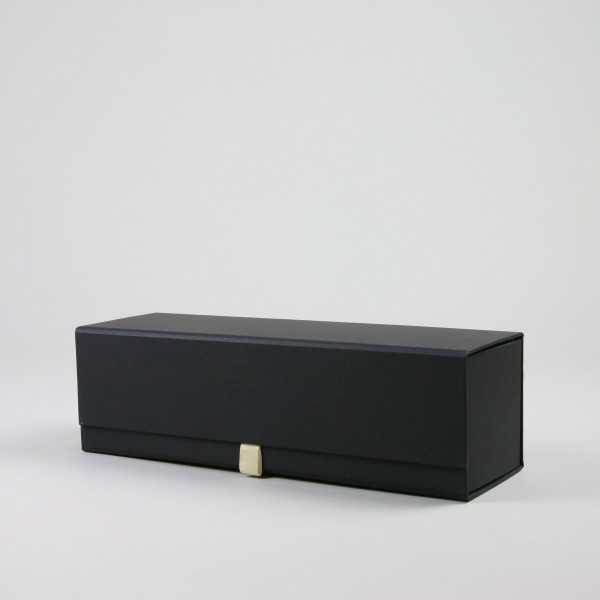 The WONDERBOX bottle box for one standard bottle is made from stiff 1200 g/sqm cardboard. Two inner flaps with velcros provide optimum protection. The closure is made easy with magnetic flap. The box is delivered flat in one piece. A carton contains 25 units.